You need to be ready to host any application anywhere. 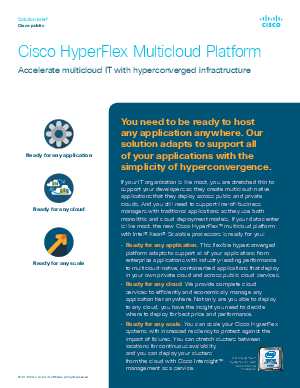 Our solution adapts to support all of your applications with the simplicity of hyperconvergence. If your IT organization is like most, you are stretched thin to support your developers as they create multicloud-native applications that they deploy across public and private clouds. And you still need to support line-of-business managers with traditional applications as they use both monolithic and cloud deployment models.